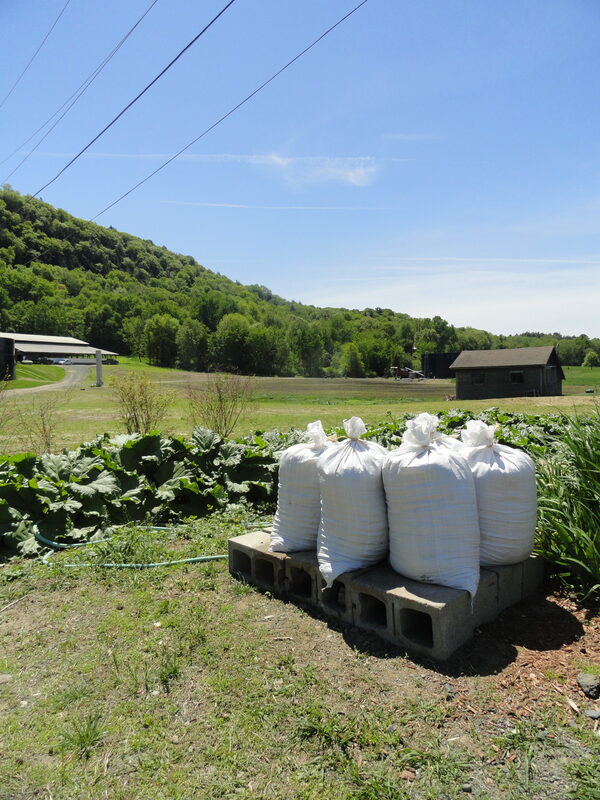 1.5 cubic feet bags for $6 are located at our farm sign on Barstow Lane and sometimes in the Store parking lot. We will not have compost bagged if it is too wet to handle. Please note that bakery and kitchen staff are never able help load bags into vehicles as this is a food safety hazard. Bulk compost is $30/yard and $20/half yard. Please stop in at Barstow's Dairy Store and Bakery to pay before visiting the compost pad on the farm. One of our store employees will call a farmer to meet you and can give you directions to the pad. Bulk compost loading is only available between 11am and 5pm. Delivery is available! Call (413) 586-5584 and leave a message with your call back number, address, and desired volume for delivery fee. Delivery fee is $85/hour in addition to compost. Bags of compost are typically readily available through the spring. To schedule a bulk pick up OR to request a number of bags in advance, please call Barstow’s Dairy Store and Bakery at 413-586-2142. This gives the farmers the opportunity to schedule it into their busy day a bit better! Thank you! All of the manure from the milking barns goes into the anaerobic digester to later be used on our fields as a chemical free fertilizer. 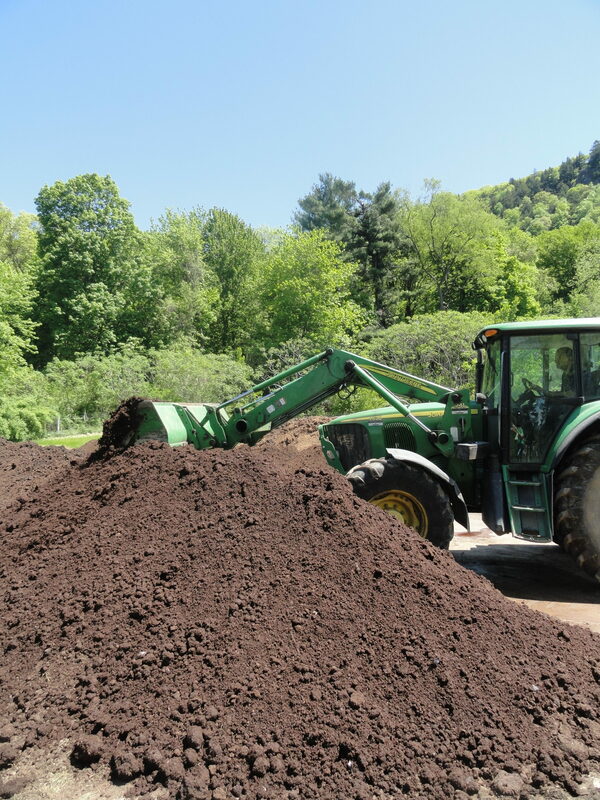 All of the manure from the heifer barn is destined for compost that we sell in bags or bulk to the gardeners and soil lovers in our community. The manure is scraped weekly or more often from the floors of the heifer barn. Because cow manure tends to be pretty liquid (cows are really good at digesting their food! ), we add some horse manure from a local farm to make it more solid. We also add all of the compostable eating ware and food scraps from Barstow’s Dairy Store and Bakery to the compost pile. This includes everything from eggshells to paper plates. By composting all of the waste from the store, we create a zero-waste system. Using even our “trash” to make more food – just in YOUR garden! We are turning food throwaways and biodegradable products into decomposed material used for growing plants and conditioning lawns and gardens. The compost is turned and tended to by the farmers for 9 months before it is bagged and ready for sale.